An Austin resident, supported by Uber, has asked the Texas Supreme Court to weigh in on the ballot language for a measure related to vehicle-for-hire companies scheduled to come before voters on May 7. The Texas Supreme Court has been pulled into the ongoing battle between Uber and the City of Austin. An Austin resident, supported by Uber, has asked the Supreme Court to weigh in on the ballot language for a new measure regulating vehicle-for-hire companies within the city, scheduled to come before voters on May 7. In December, Austin’s City Council passed an ordinance requiring drivers for vehicle-for-hire companies like Uber and Lyft to undergo fingerprint background checks. The ordinance sparked outrage from Uber supporters and spurred a petition organized by Ridesharing Works, a group largely funded by Uber and Lyft. The petition secured more than 25,000 signatures, forcing the city to either adopt an ordinance with lesser restrictions or put the proposed measure to a vote. In February, the City Council opted to send the measure to a public vote and approved the language that would appear on the ballot. The writ, filled with the high court on Wednesday, asks for an “emergency stay” of the ballot preparation because the ballot language is scheduled to be “locked down” on Monday. Austin Mayor Steve Adler’s office did not immediately respond to a request for comment Thursday. 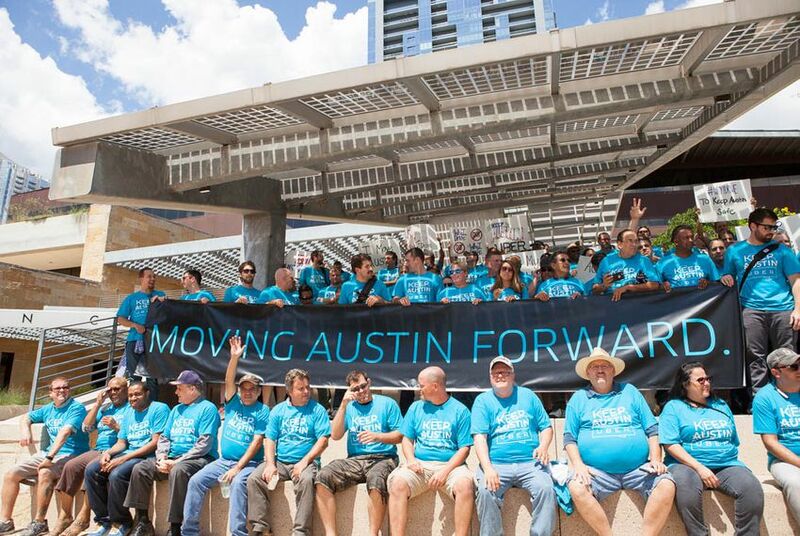 "Voters are asking for clarity, not confusion, so they can decide what types of transportation options they want in Austin,” said an Uber spokeswoman in a statement Thursday. The writ claims this language will “mislead Austin voters” as it does not address specifics of the proposed measure. The proposed ordinance would require all drivers to pass a national criminal background check and have drivers submit applications to the Austin Transportation Department detailing contact information, previous experience with vehicle-for-hire companies and proof of insurance. The measure grants the Department authority to enforce the proposed rules. Uber has consistently resisted fingerprint-based background check requirements, pulling their operations from Galveston and Midland after the cities’ local governments passed laws including this requirement. Starting Sunday, the company is expected to cease operations in Corpus Christi due to a new ordinance requiring fingerprint-based background checks approved there. Despite its stated opposition on that issue, the company has continued to operate in Houston, where drivers are required to undergo those background checks.